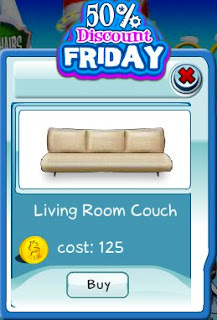 This week's 50% Discount Friday item is the Living Room Couch. 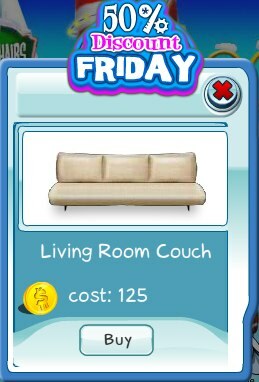 This modern, simple couch is perfect for your penthouse living room. The discount is only for today, so get one before it ends.